In keeping with the soccer week theme, I am reading Anthony Cartwright's Heartland, about race in the UK after 9/11, with the Japan/Korea World Cup in the background. Since I was here for that World Cup it is a bit surreal to read about it from a perspective halfway across the world. No matter how much time I spend in the UK or reading their papers, I still don't understand the England-Argentina rivalry, perhaps because I don't really remember the Falklands. But I don't really understand a lot of prejudice either. This goes beyond a rivalry, which I could get behind, and that is disturbing. Does anybody know any other fiction books about soccer (okay, football, I doubt there are many in Canada or the US!) for adults? My daughter still loves her lift-the-flap books so she keeps getting out her Little People Farm book. This book is huge, she can still barely lift it! Spinky really likes Scaredy Squirrel lately - and built his own first aid kit just like Scaredy. I think there's a Christmas one coming out this year, he'll enjoy that! 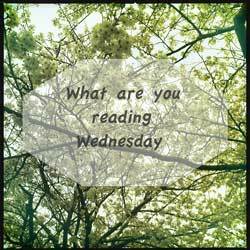 I'm reading Ruta's Closet, about a Lithuanian family trying to escape the Nazis. I'm also reading Charlotte's Web to my son. Also, I've got a thousand pages left in Les Miserables. I've been reading it since March and there are 1000 pages left. Je suis miserable aussi! LOL! Another few months with Jean Valjean and Javert? It isn't a story, but you might like the movie "The Game of their Lives" by British documentary producer Daniel Gordon. It is about both soccer (football) and politics and is a fascinating look at North Korea. I think you're right, that looks fascinating. Scary but fascinating. I am not reading anything right now. Just finished up an ebook and haven`t decided what to read next but got a couple of books at playgroup the other day so maybe one of them. Boys reading "Too much TV" in the Bernstein Bears series, "Thank you for me" and "Everbody poops" by Taro Gomi.